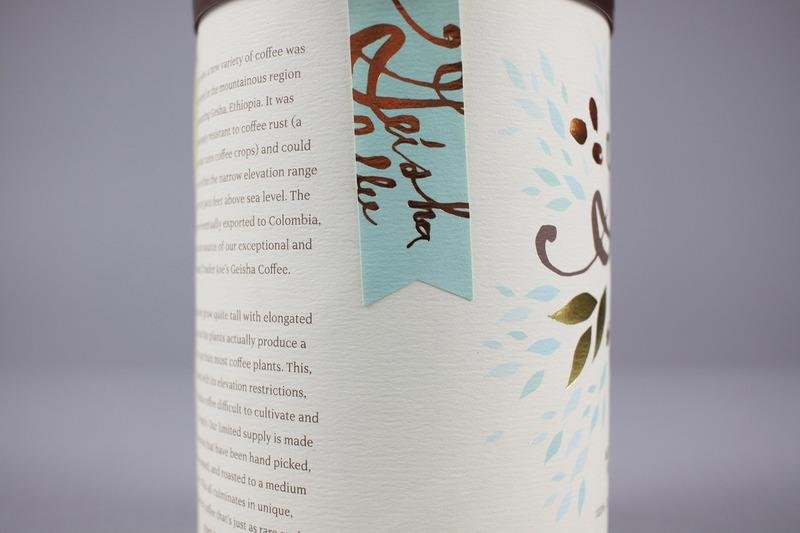 Geisha is a very rare and exclusive coffee bean that retails for upwards of $50. 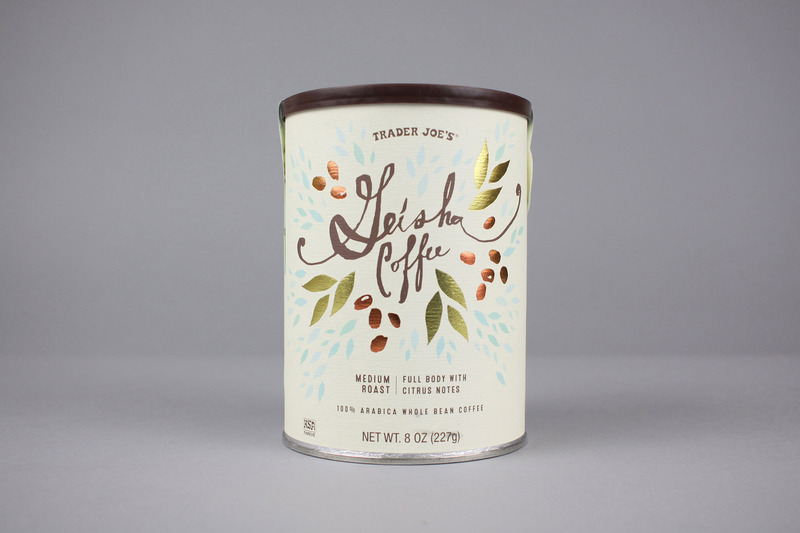 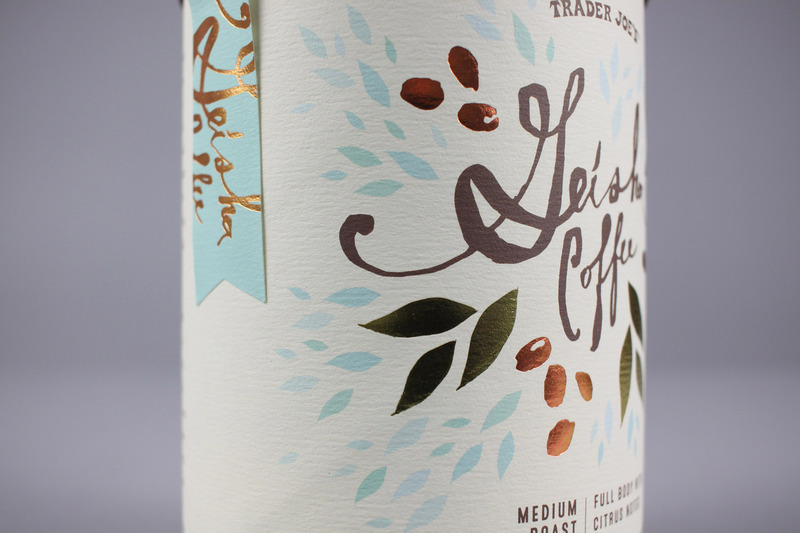 Trader Joe’s sold this special coffee as part of a limited run for just $20. 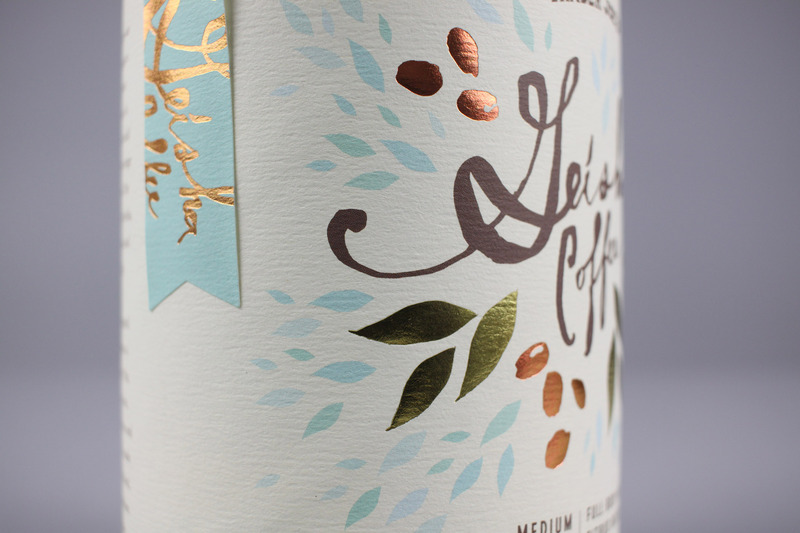 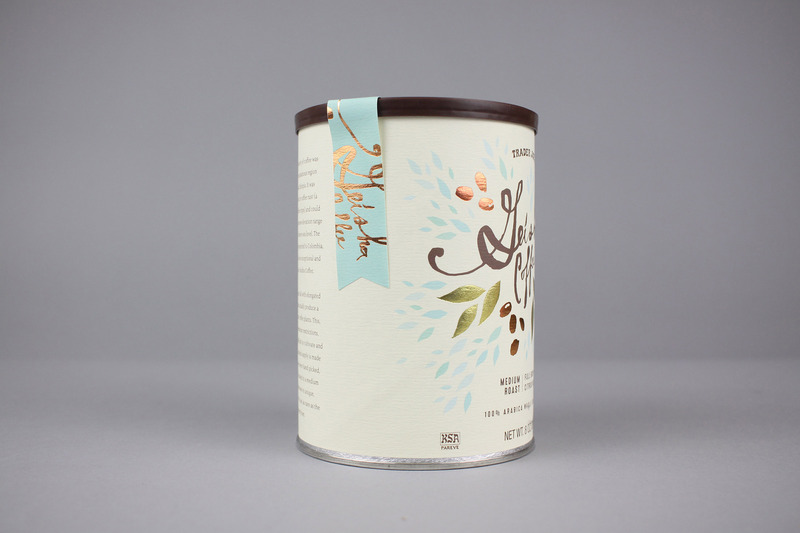 My feeling was this was a pretty big price jump for a customer that might not be familiar with Geisha coffee–so the packaging had to be elevated. 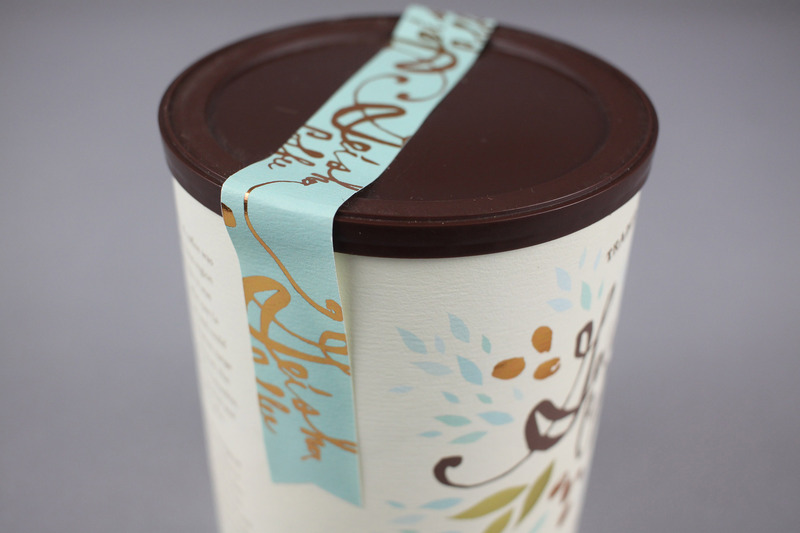 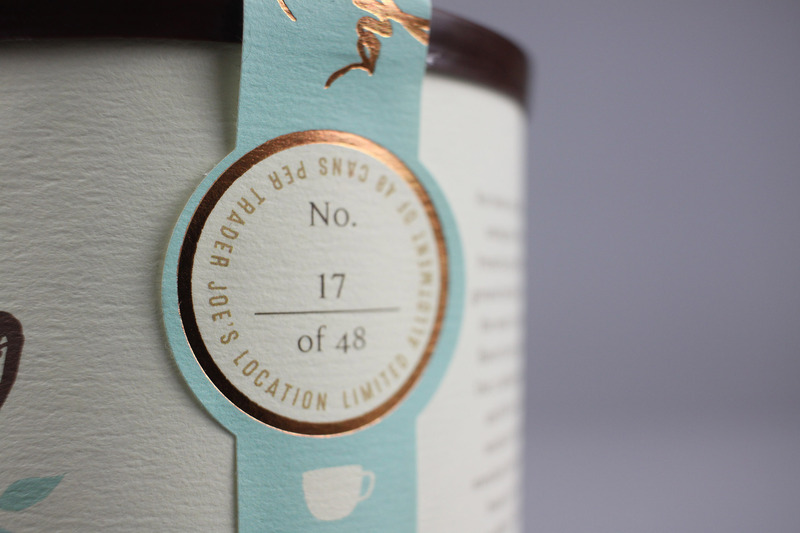 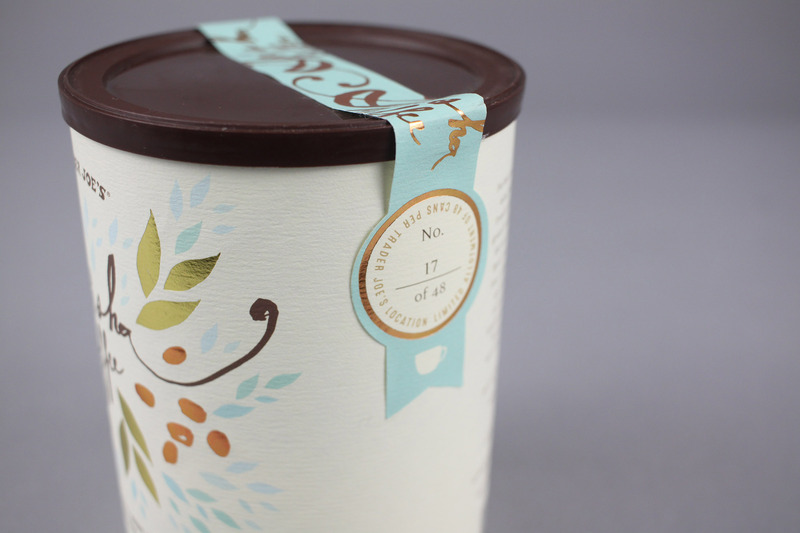 In concert with the printer I was able to make an ordinary can a bit more special by including an individual numbered seal, copper and gold foil hot stamp and sourcing a brushed cotton paper stock.